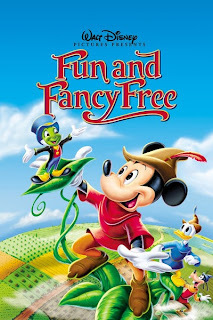 This week the DFPP team heads to the circus hot on the trail of an escaped multi-faceted bear and traces him to the top of a giant beanstalk that recently appeared in the hamlet of Happy Valley in the 1947 animated classic Fun & Fancy Free. The Disney Film Project is Copyright © 2010-2017 by Ryan Kilpatrick. Awesome Inc. theme. Powered by Blogger.